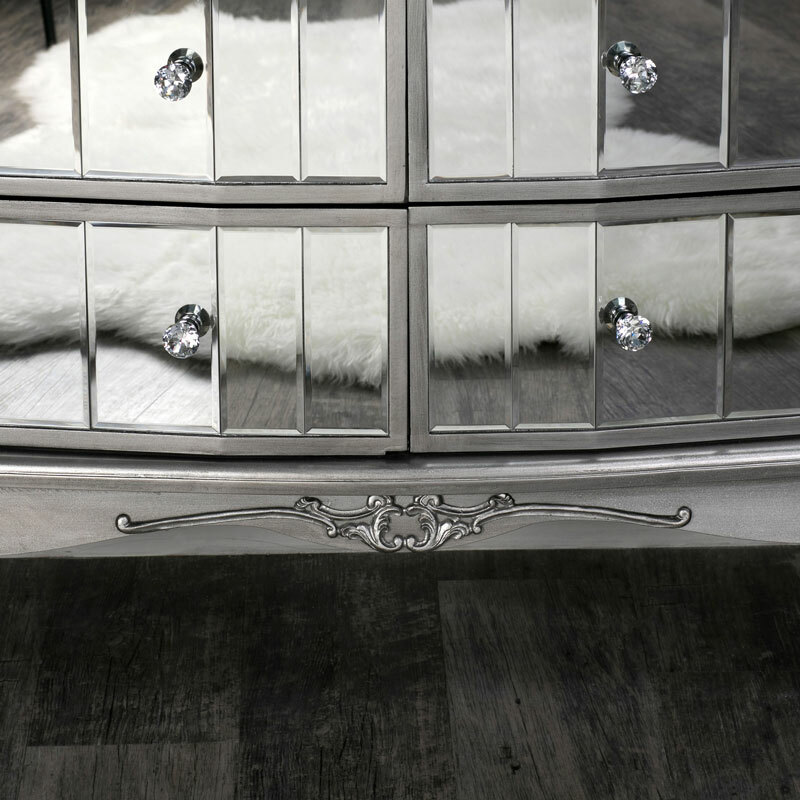 Part of our gorgeous Tiffany Range are these Extra Large Mirrored Chest of Drawers. The perfect addition to a large bedroom adding that stunning vintage French style. 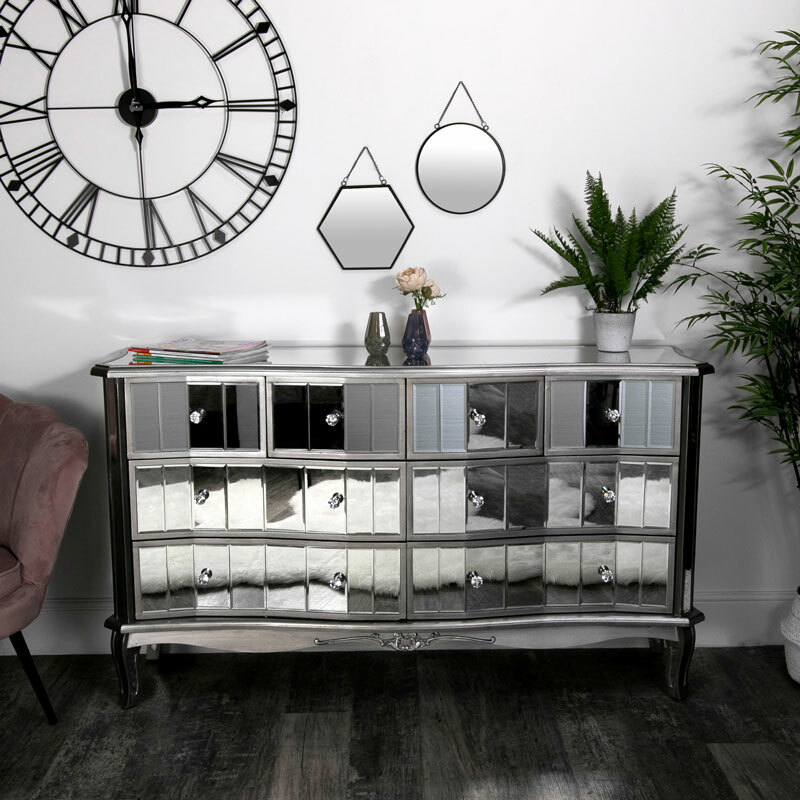 As well as looking so stylish, this chest of drawers are so practical with the large amount of storage they bring to your room as well as elegance. 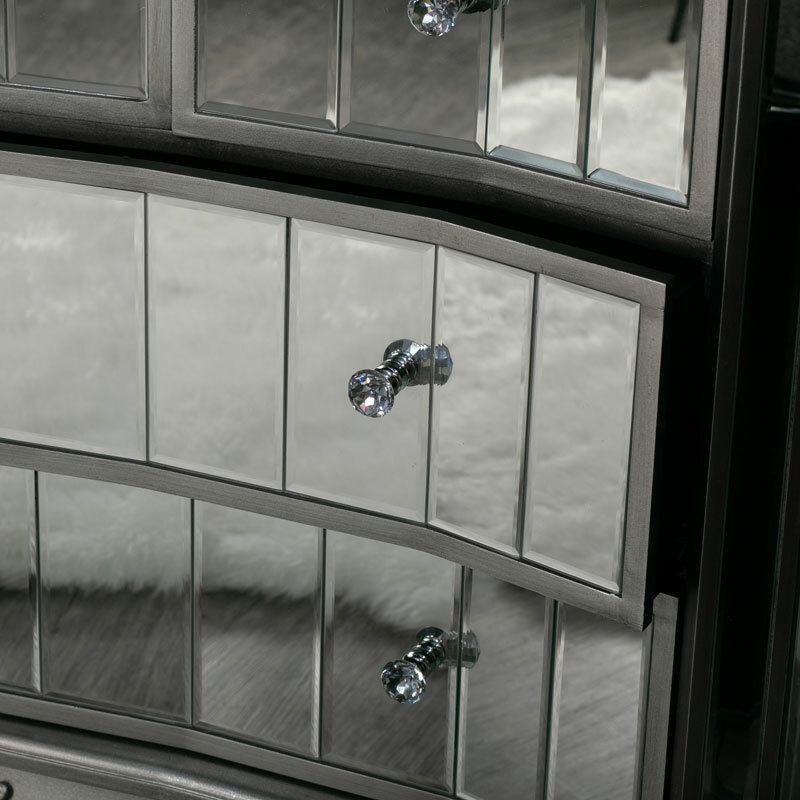 With many more furniture pieces available in the Tiffany Range that allow you to add to and create the interior decor of your dreams. Constructed with a wooden frame painted in a lightly distressed silver finish with mirrored panelling throughout. The chest of drawers comes fully assembled and is quite heavy and very sturdy. 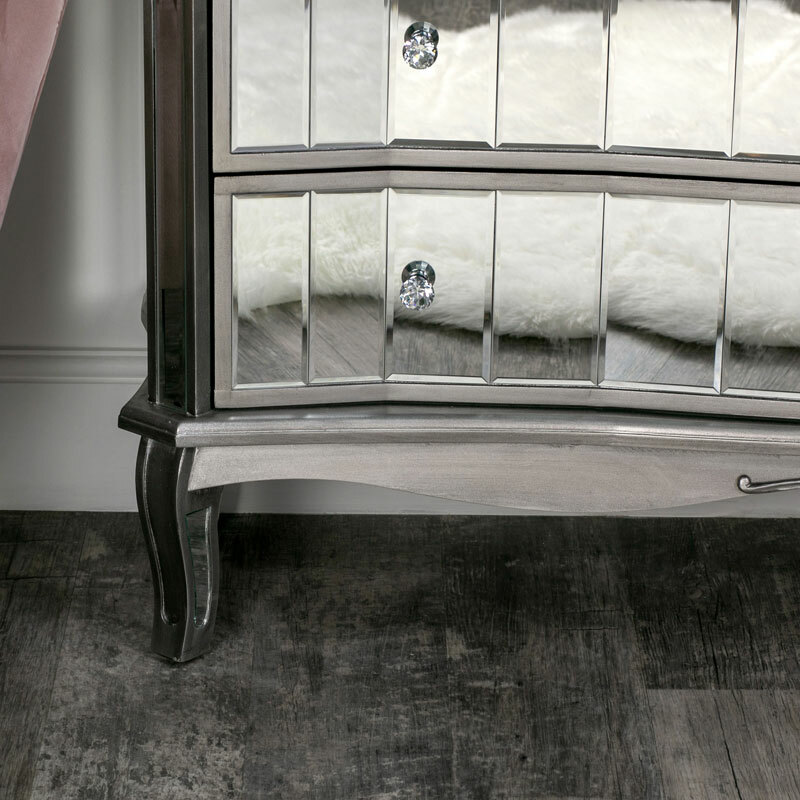 With so much more in our Tiffany Range, you can carry on this gorgeous style throughout your home with furniture for the bedroom, living room and hallway.